Austin 360 Roofing's New Preventative Maintenance Program Averts Costly and Unforeseen Roofing Problems | 360 Roofing, LLC. (AUSTIN, TX – January 25,2011) Austin 360 Roofing LLC has launched a Preventative Maintenance Program, supported by its proprietary RAMTRACKER software, to monitor and preserve roofs. This new program helps customers perform long term cost benefit analyses that protects the capital investment of their roofing systems by extending roof life. As part of its Preventative Maintenance Program, Austin 360 Roofing conducts thorough inspections of customer roofs at predetermined intervals throughout the year. The company’s certified roofing project managers examine flashing, drainage, wall panels, area dividers, parapets and insulation for signs of wear or leakage. Standard maintenance is performed as required and an assessment on the current roof condition is determined, along with an estimate on its remaining lifespan. All roofing data – including blueprints, photos, warranties, proposals and historical maintenance records – is uploaded into RAMTRACKER, allowing customers to review their portfolios on demand via a secure web-based database. Customers can use this information to track expenses, forecast future repairs and budget accordingly. Preventive maintenance is an important roofing service because roofs are more susceptible to natural elements, such as hail and high winds, than other parts of a building. Roofs can also be damaged by animals, insects and debris. Problems with roofs can affect the rest of a structure if they result in water leaks that inflict damage on a building’s interior and cause mold. Because roofs are the most remote part of a building, owners may not be aware of these problems. However, a routine inspection as part of a roofing maintenance program can identify potential issues that need to be corrected. For more information on RAMRACKER and the Austin 360 Roofing Maintenance Program contactinfo@austin360roofing.com. 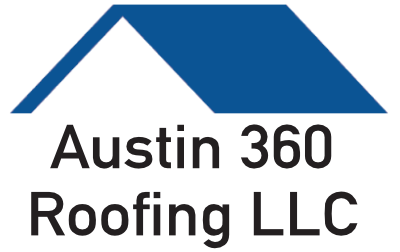 Austin 360 Roofing, founded in 2008, is a full-service Texas roofing company specializing in commercial structures – including office buildings, apartment complexes and industrial parks – as well as residential houses. The company provides expert craftsmanship on flat roofs, metal roofs, asphalt shingles and tile roofs, and also offers green roofing solutions that help increase energy efficiency. Additionally, Austin 360 Roofing is an insurance claim specialist that manages all aspects of insurance assessments and negotiations for roof repair due to hail, rain, lightning, wind and fire damage. The company is locally owned and operated in Austin, TX, but serves the entire Central Texas region, as well as the Dallas and Houston areas. For more information see www.austin360roofing.com.